What’s the deal with Netflix? The team has been hard at work adding new Netflix locations for the past weeks and making playmoTV work even better on all your streaming devices. We’ve now got a total of 22 Netflix locations for you to switch between. Our latest additions are: Portugal, Belgium, Luxembourg, Norway, New Zealand and Iceland. We are not done yet so please let us know if your favourite is missing from our list by voting on twitter or our facebook page using #EntireNetflix and the country you want. We been asked a lot about the recent Netflix changes that they are blocking VPN, Smart DNS or any proxy services but we can confirm that playmoTV is currently streaming on all cylinders! Over the past few months our team has working tirelessly (as always) on improving our playmoTV linker for Mac and making a revamped Windows version, thus replacing our first generation of the playmoTV linker for Windows. Like with most software companies, it took us a while and some trial and error to find our groove, but we believe that we’ve really hit our stride now. Why should I install the playmoTV linker? It links/unlinks your computer to/from the playmoTV gateway with one click. It updates your IP address automatically, so you don’t have to visit our site to update your location. 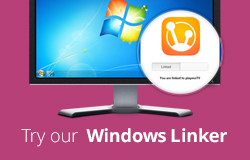 #1: Linking computers to the playmoTV gateway can be a cumbersome process, especially on Windows computers, where users have to dig into complicated network settings. Making changes to network settings comes easy for some users but is like climbing Mount Everest to others. #2: Our authentication system gives your IP address a green light, so you can watch Netflix and other geo-blocked services via the playmoTV gateway. This is a necessary evil because otherwise users would be able to simply add our DNS servers to their devices and stream our supported services for free. Furthermore, knowing your IP address is essential with our Netflix Switcher. This feature might be reason enough to keep the linker running on your home computer, even though you may not watch Netflix and other geo-blocked services on it. Even with this big update we don’t consider the playmoTV linker to be a finished product, and much like all the applications you run on a daily basis, our applications will get updates, bug fixes and new features that we think will be handy for our users. playmoTV is a paid premium service and in return we fully respect that you’ve paid for something and we will deliver what we promise. If we don’t fulfill your expectations, you should let us know. We live by our statement that if you aren’t happy, we aren’t happy. On that account, if you feel that we haven’t made necessary adjustments or helped you out, ask us for a refund. One of the most important parts of playmoTV is respecting your privacy. If we would ever violate your trust we wouldn’t be able to continue servicing our customers. The Netflix Switcher is our most recent addition to the playmoTV gateway, enabling you to switch between various Netflix regions. You can read more about our Netflix Switcher here. 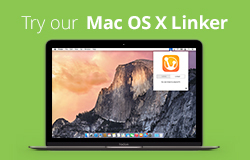 We are so happy to announce that our first version of the playmoTV Mac OS X Linker is now live. We’ve been working on this addition for a while now and it has some great things built in besides that fact that you don’t have to manually fiddle with your DNS settings. Even though we’ve tried making linking as simple as possible, it still doesn’t beat linking with the single click of a button. We are all about making everything as convenient and straightforward for our customers as possible. We’ve made several upgrades to our systems and we are constantly thinking of new and evolving ideas to serve our streamers better. We take that philosophy seriously and like to get out in front of things too – that’s why on May 1st we began accepting Bitcoin as a form of payment for your playmoTV streaming services! Since 2011, we’ve exclusively used PayPal to turn your money into our money, but we think Bitcoin is going to play a big role in electronic payments in the next few months and years, so we’d like to offer it to our customers. A bit of a primer on Bitcoin, in case you’re like, “Hey, what’s that, dude?”: Essentially, it’s a peer-to-peer electronic currency, meaning it’s not controlled by a central bank or authority. Instead, each bitcoin is encoded within a ledger and tracked as it travels from person to person. It’s encoded with who owns it and each transaction in which it’s used. Since no single entity controls it (the processing of bitcoins takes place over hundreds of thousands of individual computers), it’s super secure. It’s a great independent system and we’re happy to offer it to our customers! Now, because the value of bitcoins can change so frequently, we are going to have to give you a quote for the value – no worries though, the price of playmoTV remains the same and we’ll be sure to get you the best bang for your bit! To get our new Bitcoin payment system moving, we’re offering exclusive streaming packages to our friends who choose to use Bitcoin as their form of payment. Check it out; We are going to give the first 10 Bitcoin adopters 40% discount of playmoTV streaming days. It’s a steal dudes, it really is! If you need any more information, want to request a quote or have questions about anything, feel free to drop us a line. We’re here for you streamers! Updated 2014-09-13: We have integrated Coinbase. This makes the old quoting mechanism redundant and instead we have a fully automated process for Bitcoin just like our other payment processes. Here at playmoTV we’re always striving for greatness. So the other day we were sitting around and thought to ourselves, “Mobile! We need to go mobile!” That’s what we’re talking about here today and we couldn’t be more excited to tell you about it! Why are we so excited? Because the new mobile web app makes things so much easier for our streamers! Right from your phone or tablet you can do things that you used to have to fire up a computer for. No more! You may remember back in November we were rather long winded about a number of changes and improvements we were going to be making to the playmoTV system this year. It’s time for one of those improvements! Today and over the next few days, we’ll be rolling out our brand new and shiny playmoTV Smart DNS structure. Our new lineup of DNS servers is ready but you need to be too. We are asking all playmoTV streamers to update their DNS on every device. Here is the full lineup but you can also visit our Setup page and pick your device for our detailed setup instructions.